Ian Gillan was one of the foremost vocalists of the heavy metal style of rock that emerged in the 1970s, earning his greatest renown as a member of Deep Purple, though he also led bands named after himself. He began singing in bands while still in his teens, the most notable of which were the Javelins (1962-1964) and Episode Six (1965-1969). Another member of the latter band was bass player Roger Glover, and the two were invited to join Deep Purple in 1969, debuting with the band at the Speakeasy club in London on July 10. At this point, the group entered its most popular period, and Gillan was featured on a series of successful Deep Purple recordings -- Concerto for Group and Orchestra (1970), Deep Purple in Rock (1970), Fireball (1971; number one U.K.), Machine Head (1972; number one U.K.; Top Ten, multi-platinum U.S.), Made in Japan (1973; Top Ten, platinum U.S.), and Who Do We Think We Are (1973; Top Five U.K.; Top 20, gold U.S.). In the meantime, he was also featured on Andrew Lloyd Webber and Tim Rice's concept album Jesus Christ Superstar singing the title role; the gold-selling double LP topped the U.S. charts in 1971. All of that recording, along with virtually uninterrupted worldwide touring, took its toll on Gillan, who was hospitalized for exhaustion in October 1971 and who first voiced an intention to leave the band in August 1972. He was at first persuaded to stay, but gave Deep Purple notice in October that he would depart after existing concert commitments had been fulfilled. That occurred on June 29, 1973, with the conclusion of a tour of Japan. As he left, "Smoke on the Water" from Machine Head was making its way up the U.S. charts, where it would peak in the Top Five and go gold, becoming Deep Purple's biggest career hit. Gillan, who had bought a recording studio, signed a solo deal with Oyster Records. After a couple of abortive projects, he formed the Ian Gillan Band with guitarist Ray Fenwick, bassist John Gustafson, keyboardist Mike Moran, and drummer Mark Nauseef in 1975. Their debut album, Child in Time, entered the British charts in July 1976 and the U.S. charts a month later, but it was not a big seller. Switching to Island Records, they followed with Clear Air Turbulence (April 1977) and Scarabus (November 1977), neither of which reached the charts. By the summer of 1978, after various personnel changes, the group had simplified its name to Gillan, and it consisted of guitarist Steve Byrd, keyboardist Colin Towns, bassist John McCoy, and drummer Pete Barnacle. In 1979, Bernie Tormé replaced Byrd and Mick Underwood replaced Barnacle. This lineup recorded Mr. Universe, released on Acrobat Records, which became a British chart success, peaking just outside the Top Ten in 1979. Gillan signed to Virgin Records and scored a British singles chart entry with "Sleeping on the Job" in June 1980, followed by Glory Road, which peaked in the Top Five and charted briefly in the U.S. (Ian Gillan's albums got little or no distribution in America; in 1990, Metal Blade reissued his catalog.) Thus established, Gillan scored a series of Top 40 singles and Top 20 albums in the U.K. over the next two years: "Trouble" (October 1980); "Mutually Assured Destruction" (February 1981); a revival of Gary "U.S." Bonds' "New Orleans" (March 1981); Future Shock (April 1981), which just missed topping the charts; "No Laughing in Heaven" (June 1981); "Nightmare" (November 1981); Double Trouble (November 1981), a two-LP live set; "Restless" (January 1982); and Magic (October 1982). At the end of 1982, Ian Gillan disbanded Gillan, announcing that he had to rest his vocal cords on doctor's orders. 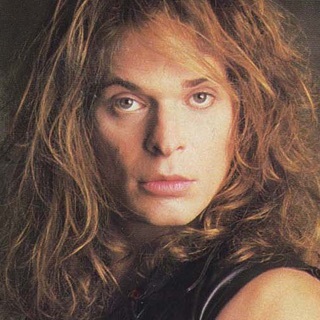 In May 1983, he surprised fans by joining Black Sabbath for the recording of their album Born Again and toured with the band from August to March 1984. Then, on March 10, 1984, the 1969-1973 lineup of Deep Purple, including Gillan, signed to Polydor Records, reuniting the band. They cut the million-selling Perfect Strangers and The House of Blue Light (1987), and Gillan made a solo album, What I Did on My Vacation (1986). The Deep Purple live album Nobody's Perfect (1988) followed, and then Gillan made a duo album with Glover, Accidentally on Purpose (1988). In 1989, Gillan again quit Deep Purple. That December, he participated in an all-star remake of "Smoke on the Water" issued as a charity single credited to Rock Aid Armenia; it made the British Top 40.